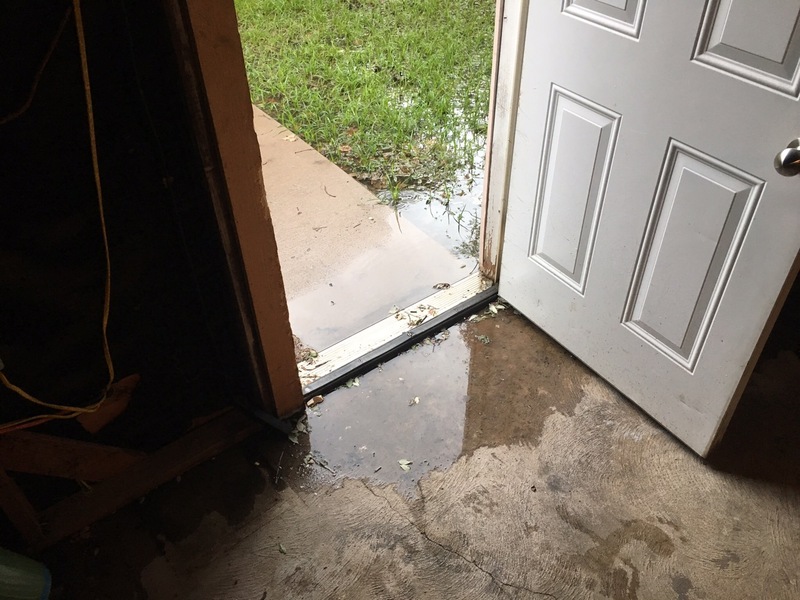 So while we were planning our next move on the inside we turned our attention to the outside. 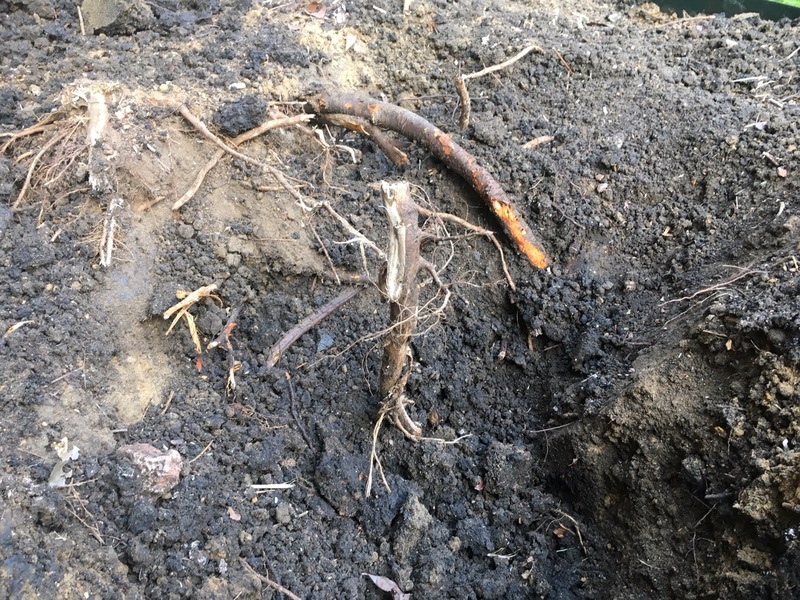 Steve and his Dad removed all the landscaping from the ground up (aka roots still in) in one weekend which was awesome. 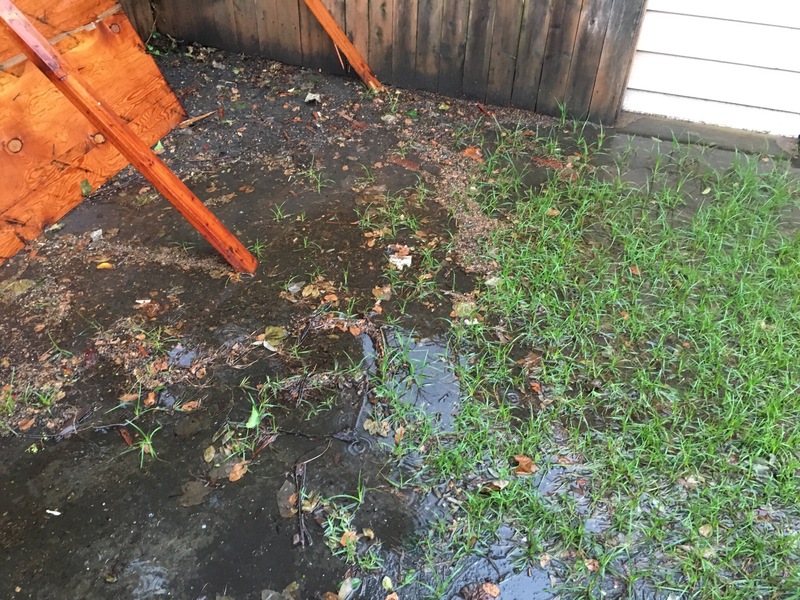 We didn’t like the landscaping anyways so it was a good way to feel productive in the wait. 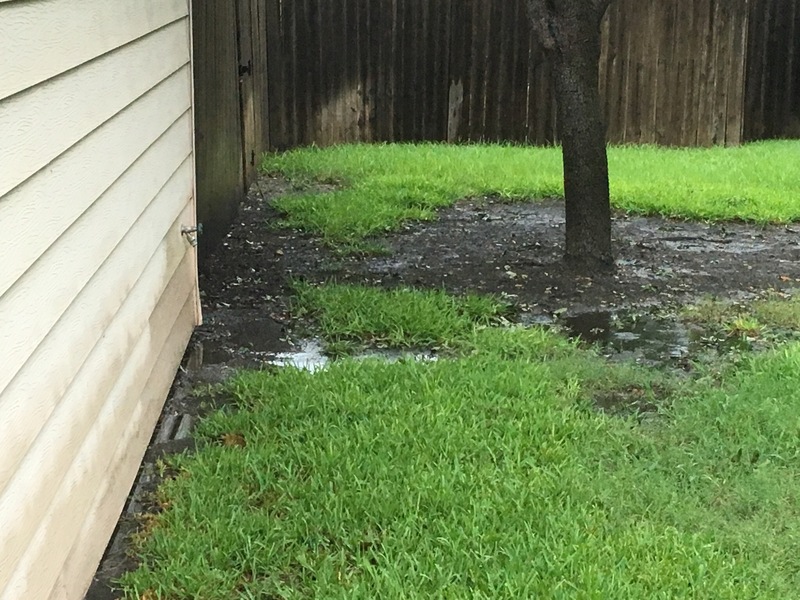 We also got a termite inspector to come and learned that the termite infestation was about 15 years ago and there were no active termites! 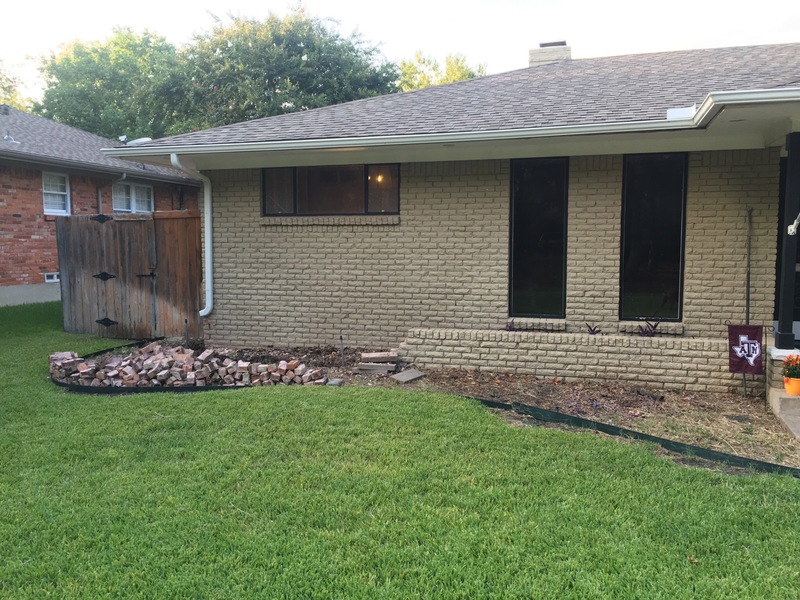 We did, however, learn that the termites probably came because of poor drainage and a planter box built onto the front wall of the house. 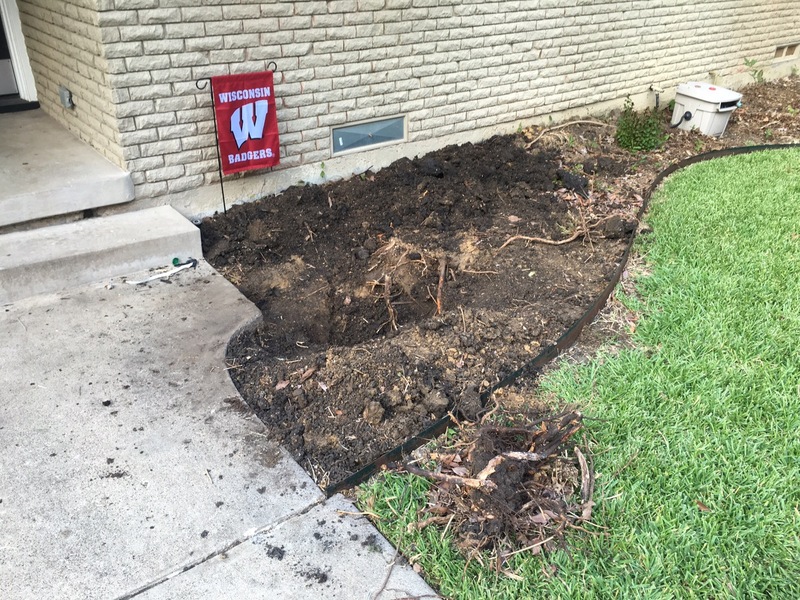 Since the landscaping was conveniently removed, we got to work removing the planter bed and digging up the roots. 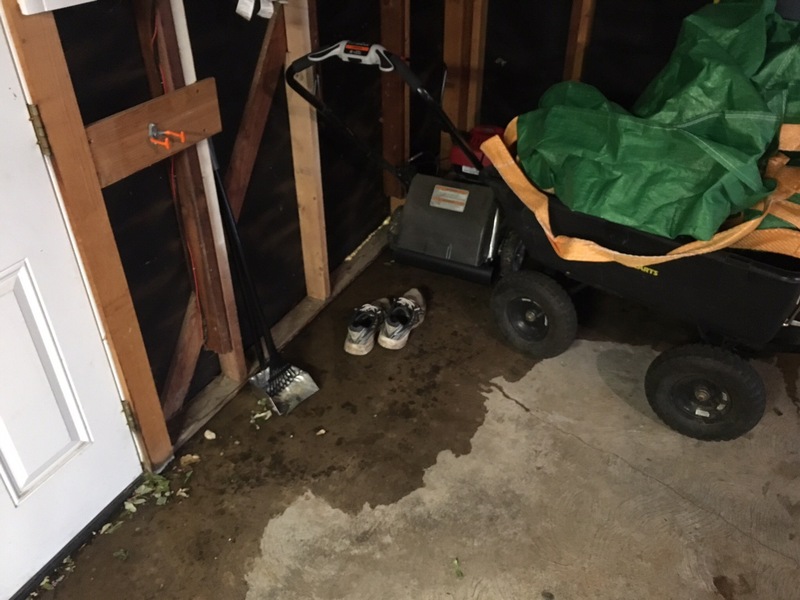 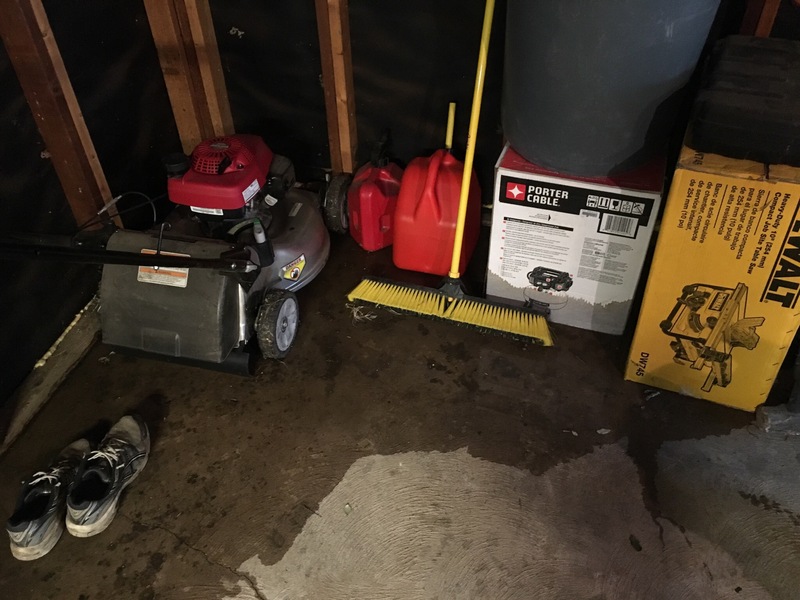 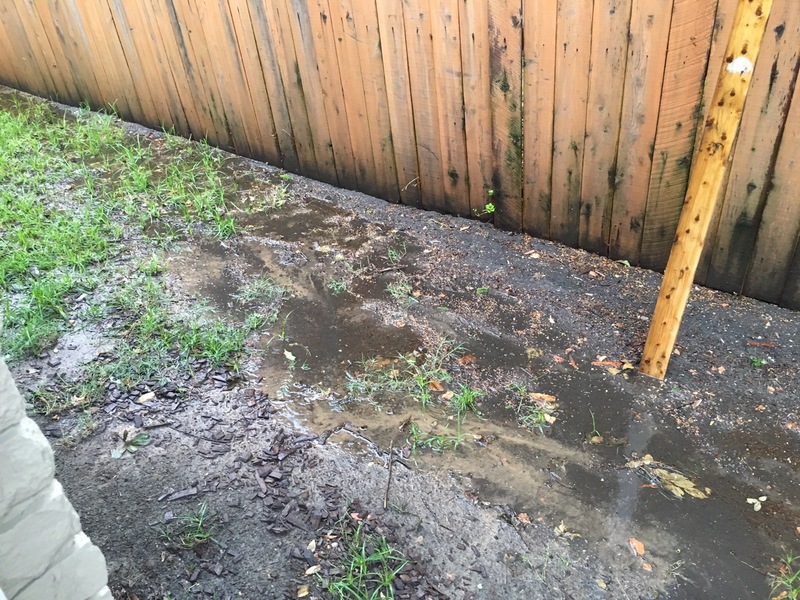 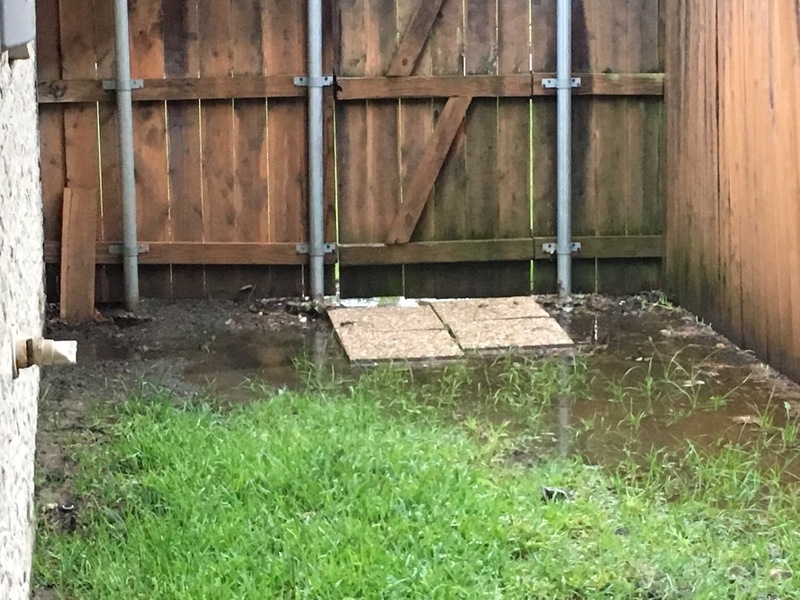 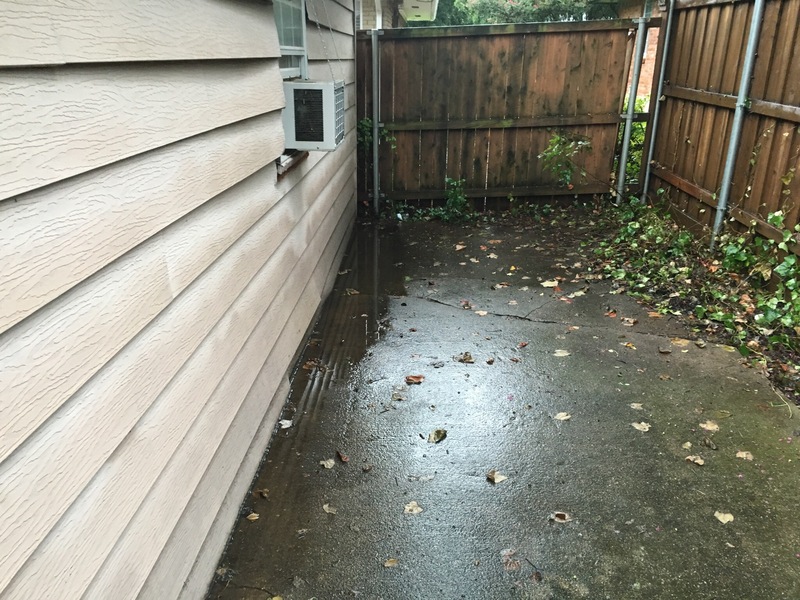 Also, during a rainstorm, we got an confirmation of our drainage issues… We found flooding in the garage and lakes in the backyard and decided we needed a drainage solution.